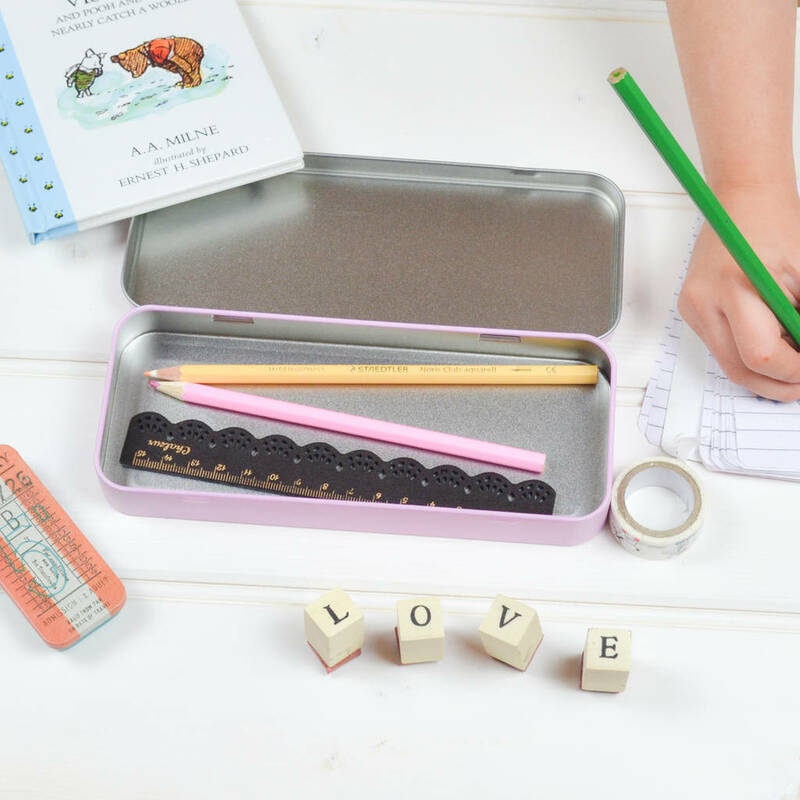 A magical personalised tin pencil case. 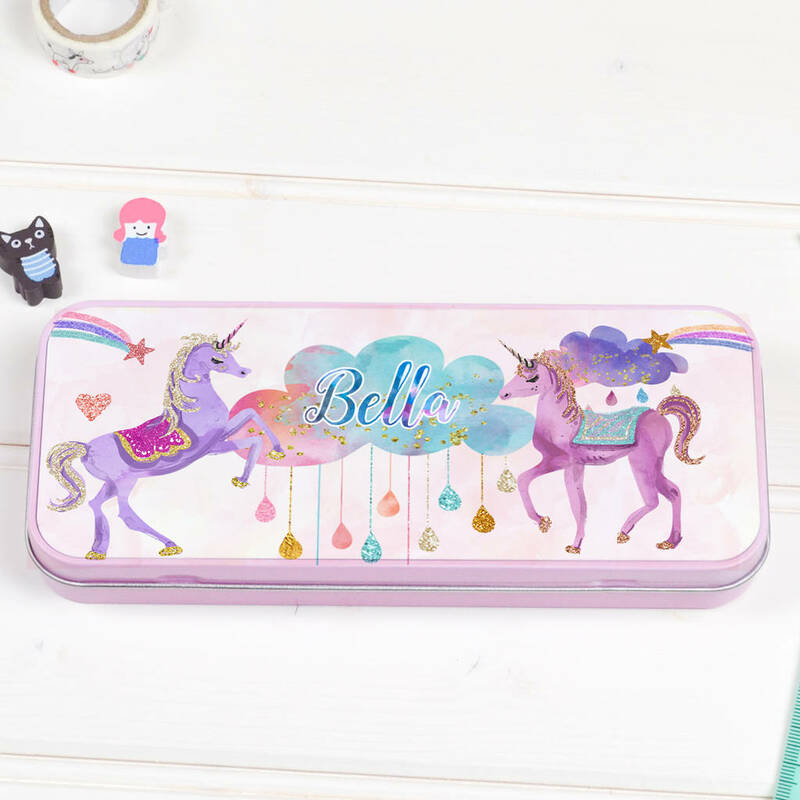 This children's personalised unicorn stationery pencil tin is a lovely gift for any child! 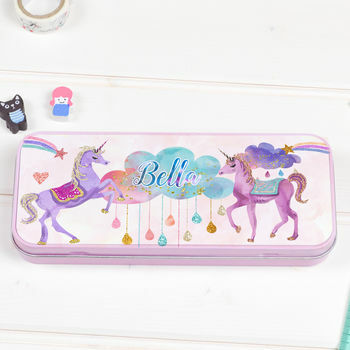 This sweet pencil case tin is perfect for any child to carry their pencils with pride! A highly qualtity pencil tin with a cute design. Impress your school friends with a unique and cool pencil case. The owner of this pencil case will have such a wonderful sense of pride for learning with this pencil case tin. There is no chance of getting confused who this belongs too either! For young children this is a great way to recognise their name too. This practical pencil case tin can carry pens, pencils, colouring pencils, erasers, maths equipment and craft equipment too at school or home! Perfect as a gift for any child for starting nusery, new school year or for a birthday or Christmas gift. Your gift will be appreciated all year round! You can print the child's name on the front. Available in pink, blue and silver.